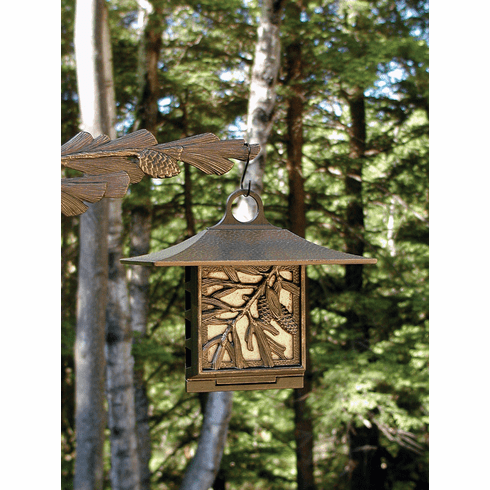 Our Pinecone design Suet Birdfeeder features a large canopy top that will protect your suet cakes from the sun and rain. The feeder is made from recycled rust-free aluminum, which will last for years. It is available in a choice of three colors. The pull-down back makes it easy to replace the suet cakes, as well as provide easy access for cleaning.